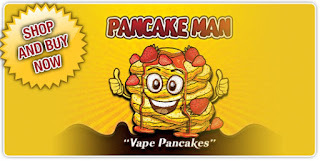 Pancake Man by Vape Breakfast Classics USA. It comes in a 60ml bottle. You have the choice of 0mg, 3mg, & 6mg nicotine. My preferred nicotine level is (3mg), High VG. Average cost in the UK is- £25 (Prices Vary), and can be found in most online stores and bricks & mortars at the moment. Pancake Man e juice is 60ml of fluffy Pancakes with butter, topped with strawberry and whipped cream, drizzled with maple syrup. There has been a lot of thought put into the packaging, which is a nice touch, especially the free gifts inside. 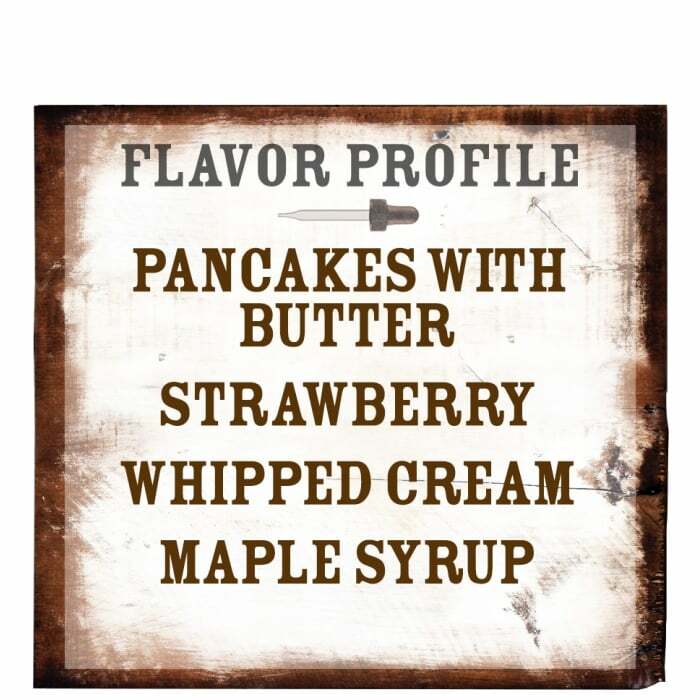 Primary Flavours - Pancake, Strawberry, Whipped Cream, Maple Syrup. The bottle comes with child safety cap, tactile warning label and no use by date that I could find. The label is clearly printed and easily read. 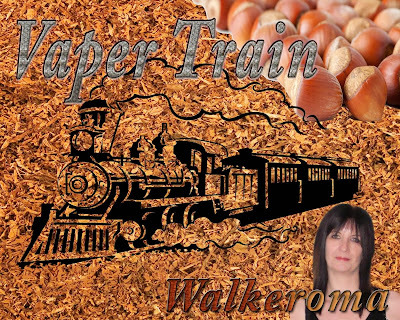 My opinion of the e-liquid I am reviewing today are my own, and will be my true and honest opinion as always. Taste is very subjective and what I dislike you may enjoy, and vice versa. Remember e-liquid flavours vary depending on the power, resistance and airflow of your chosen devices. Different setups give you different flavours at lower and higher temperatures, so please keep that in mind. On Opening The Bottle, a maple syrup/butterscotch aroma wafted from the bottle. It was an overpowering scent which took precedence over the other aromas from the bottle. There were slight hints of a subtle creaminess, not unlike a buttery pancake batter. A very pleasant aroma, and one I'd heard so much about, and couldn't wait to try. 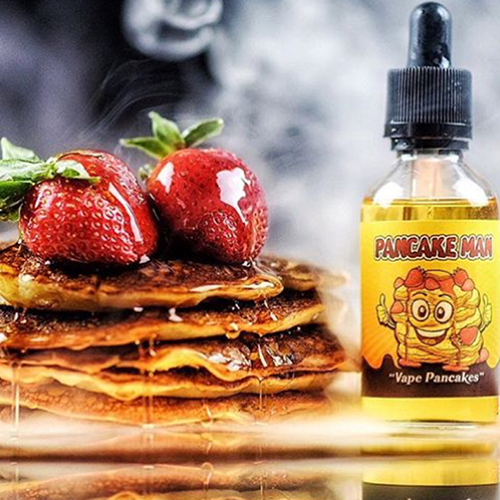 On the Inhale, a sweet, decadent, buttery smooth baked pancake taste, gently flowed slowly and effortlessly over my palate. Smooth, rich and extremely sweet. 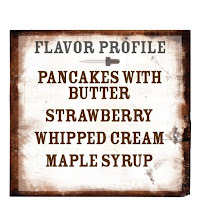 Almost fluffy in texture on the tongue, and just like biting into an overly sweet breakfast pancake, smothered in sweet juicy strawberries, with lashings of cool whipped cream, sprinkled with brown sugar. On the exhale, an extremely sweet maple syrup flavour took centre stage over the other flavours, coating my lips, and leaving a lingering aftertaste on my palate, filling the whole of my mouth with lashings of sweetness, and having the pleasant taste and characteristic of a sweet caramelized brown sugar or natural tree syrup. Summary:- A very rich, sweet liquid. Smooth on the throat and palate with no harshness. Can be quite sickly when vaped for a long period of time. Not an all day vape for me, but an extremely moreish one. Would I change anything about it ................. Yes, add more strawberries & cream. Vapour Production ............... Extremely good producing thick billowy clouds of vapour. ADV - No, not for me, it's very sweet. I keep it for breakfast time. With a nice cup of coffee, it's really enjoyable. Final Thoughts - I really enjoyed this e-liquid. It produces tons of flavour and can be enjoyed either in a sub ohm tank or a dripper. This isn't an e-liquid for standard clearomizers or mouth to lung tanks. It's very thick in consistency and wouldn't wick. 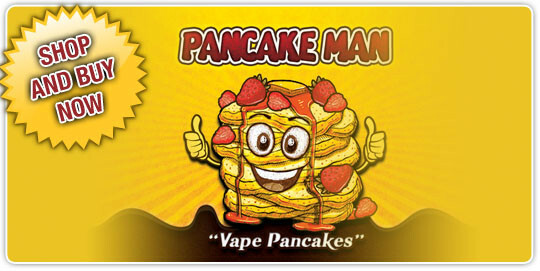 If you enjoy sweet/maple syrup type vapes, then you would more than likely enjoy this one. The juice is overpowered slightly by the maple syrup, leaving the other flavours to take a back seat. All & all a very enjoyable vape. The Toot Suite - Our community vaping group. 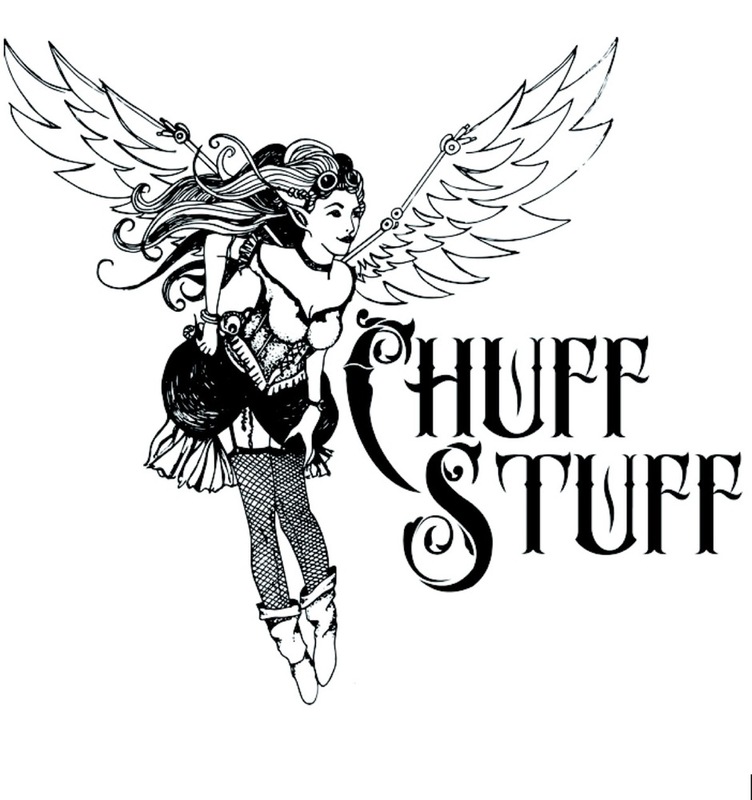 Feel free to join the vaping community or stop by with any questions you might have. There's always someone at hand to help you out.